DeLAY: NASCAR’s Sticky Situation Needs To Stop! Stickum: a sticky, adhesive-like substance that worked wonders for legendary Oakland Raiders cornerback Lester Hayes, allowing him to hook to the football like Velcro when attempting an interception. The NFL finally called an end to Hayes’ gimmick in 1981 by banning the sticky mess, but its job was done and its purpose clear at that point. Now enter modern-day NASCAR, which has gotten itself into a similar sticky situation, pun intended. In NASCAR’s furious attempt to make what the fans call “mediocre racing” better, the sanctioning body has turned to their own version of Stickum: PJ1 traction compound. 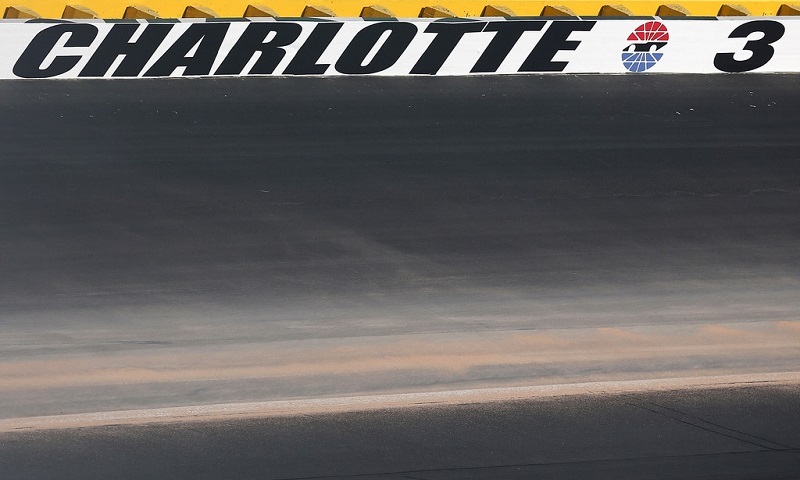 NASCAR has recently applied PJ1 to tracks like New Hampshire Motor Speedway and, most recently, Charlotte Motor Speedway in an attempt to get the cars to stick to secondary racing lines. The practice is meant to promote passing, and in the end, better racing. Unfortunately the jury is out among Monster Energy NASCAR Cup Series drivers as to whether the “grip strip” is actually useful or necessary. Dale Earnhardt Jr. said this week that Charlotte Motor Speedway is in “near panic mode” trying to turn slumping race attendance figures back around, with the PJ1 laid down before last weekend’s Bank of America 500 in an attempt to turn a traditionally one-groove track into a multi-lane surface. Instead, we got multiple crashes in practice and drivers calling for the removal of the stuff. Earnhardt said that instead of making the track have more grip, it turned it to “ice” and was a major contributor to his hard shunt in the first practice session last Friday at Charlotte, a crash that forced him to a backup car before he rallied to a top-15 finish. His Hendrick teammate Kasey Kahne added that he’s plain “scared” of the stuff, while Charlotte race winner Martin Truex Jr. said to give it some additional time and Denny Hamlin agreed that he doesn’t think it’s such a bad idea either. Why is NASCAR turning to a gimmick in an attempt to make their racing better? Why not simply fix the cars? Why not take away downforce to force drivers to lift in the corners, promoting more side-by-side action and passing based on who can wheel their cars the best? Isn’t working on the cars how NASCAR fixed the problem back in the day? Softer tires maybe? There’s options out there, we just have to look a little harder. Whatever NASCAR needs to do with their Cup cars to make them more competitive across the board needs to be done to the cars, not the track surface. The track is the track and should be the track, no matter what cars hit its surface. So nice try, NASCAR. I’m sure you’ve made Lester Hayes proud this year. Out with the sticky stuff. Ban it like the NFL did. That’s my two cents. What’s yours, race fans? Andy DeLay is a career law enforcement officer for Clearwater, Florida who carries a passion for motorsports at both the local and national levels. He is an avid iRacer who also spends time away from the virtual circuit at local tracks. 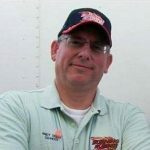 In addition, DeLay is a host of the long-time Burning Rubber Radio Show on the Performance Motorsports Network, the wireless mobile radio affiliate of Race Chaser Online, as well as an onsite reporter for PMN in various capacities.